Trampled into being by Chickasaw and Choctaw Indians, widened by explorers, frontiersmen, and boatmen, made famous by the travels of Andrew Jackson and the death of Meriwether Lewis, the Natchez Trace is one of America's most historic roads. Stretching 450 miles between Nashville, Tennessee, and Natchez, Mississippi, the Trace boasts some of the best natural scenery in the Deep South. The Natchez Nation is a treaty tribe of the federally recognized Muscogee (Creek) Nation with a sovereign traditional government; probably the oldest continually functioning government on Mother Earth...Yes, really. There are Natchez Communities and people within each of the "Five Civilized Tribes"...and bands or Natchez communities outside of Oklahoma. Near Natchez, Emerald Mound covers almost eight acres, making it the second largest ceremonial mound in the United States. The Grand Village of the Natchez Indians, a ceremonial mound center in Natchez, is overshadowed by the town’s antebellum district, yet this National Historic Landmark interprets the 500-year-old history and archeology of the Natchez tribe. The Natchez Indians were among the last native American groups to inhabit the area now known as southwestern Mississippi. 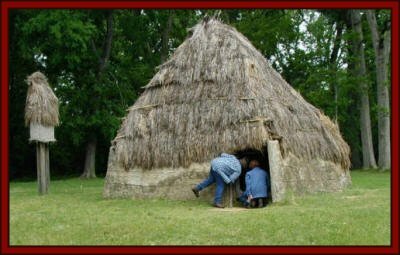 Archaeological evidence indicates that the Natchez Indian culture began around A.D. 700 and lasted until the 1730s when the tribe was dispersed in a war with the French. Their language, related to the Muskogean language family, indicates that the Natchez Indians probably developed from earlier cultures in the Lower Mississippi River Valley. The Natchez Indians were successful farmers, growing corn, beans, and squash. They also hunted, fished, and gathered wild plant foods. 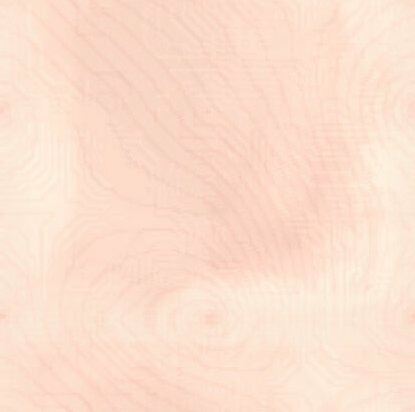 Their society, organized into what anthropologists call a chiefdom, was divided into two ranks: nobility and commoners. Membership in one rank or the other was determined by heredity through the female line. This system is called matrilineal descent and was also common among other Native American groups. The Natchez chief, called Great Sun, inherited his position of leadership from his mother’s family. Moundbuilding was an expression of the complex tribal religion with the mounds serving as bases for sacred buildings. The people of the tribe worked together to construct and maintain the mounds. The type of mounds built by the Natchez, flat-topped ceremonial mounds, shows the influence of moundbuilding cultures to the north in the Middle Mississippi River Valley. Only a few high-ranking tribal officials lived at the mound centers on a permanent basis. The people of the tribe, living dispersed over a wide area on family farms, gathered at the mound centers periodically for social and religious activities. The Grand Village of the Natchez Indians in Natchez, Mississippi, was the site of the Natchez tribe’s main ceremonial mound center during the early period of French colonization in the Lower Mississippi River Valley. Construction of the mounds at the Grand Village was done in stages, probably beginning in the 13th century. 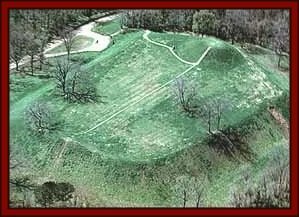 The Natchez Indians also constructed Emerald Mound, near Natchez on the Natchez Trace Parkway. Archaeological evidence indicates that Emerald Mound may have been the main ceremonial mound center for the tribe before that status was shifted to the Grand Village sometime prior to the arrival of French explorers in the late 1600s. 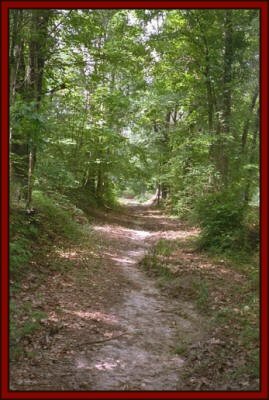 Burial mounds used between A.D. 500 and 800 can also be explored at Boyd Mounds on the Natchez Trace Parkway north of Jackson. The Natchez (Nah'-Chee, Nauche, or W'Nahk'-Chee) Nation, is a precursor and confederator of the "original" Muscogee (Creek) Confederacy. W'Nahk'-Chee means "fast warrior(s)" in the Natchez language. Prior to the arrival of northern Europeans, and in non-Native terms "in pre-historic times", Natchez Nation stretched from what is now North Carolina to Arkansas. The traditional government of the ancient nation is still strong and active today; is a treaty tribe of the Muscogee (Creek) Nation; has connections with the Natchez community (State Recognized) in South Carolina; has tribal members and a community in south Georgia; is a corporation within the Sac & Fox and Seminole Nations; has sent legislation to and worked with the Muscogee National Council; and, has requested health care and other status for all it's tribal citizens. After initial decimation from European contact by virtue of influenza, smallpox, cholera, chicken pox, war and the like, Natchez Nation was embroiled in separative "removals to Indian Territory" with the Muscogee Nation, the Seminole Nation, the Chickasaw Nation, and the Cherokee Nation; some say by advance plan. Many of the Natchez are currently citizens or eligible for citizenship in these federally recognized nations in addition to their Natchez citizenship. Some Natchez are multi-lingual, speaking a degree of Natchez, and primarily the Cherokee and/or Muscogee languages. Most have adopted English and the language of the tribe with which they are affiliated. The Natchez language is preserved by tribal members through limited daily use, on audiotape and videotape, carbon cylinders at the University of Michigan, and there is much interpretable data available at the University of Oklahoma Western History Collection. A Natchez author, Clifford "Gene" Snyder, has compiled and edited the major research on the Natchez people and his work is on record with the Library of Congress. The primary settlements of the Natchez (Nvce) are presently in the southern half of the Mvskoke reservation and the west central part of the Cherokee reservation in Oklahoma, especially near Braggs, Sourjohn Mountain, Natcheztown (Notchietown @ Gore), and Hulbert. Natchez families are also to be found among the balance of the Five Civilized Tribes including the Seminole and Chickasaw. Smaller Natchez communities and settlements may be found in and throughout the southeast and as far north as North Carolina. There is a recognizable Natchez Community in Georgia. The Natchez have a traditional form of government dating back VERY LONG before European contact. It can be considered the oldest continually functioning government on the face of the earth. Four primary or principal clan mothers "vlektv etske" represent their own and related clans are responsible for maintaining continuity of the tribe and all judicial functions. Principal Clan Mothers are also referred to as "Law Keepers" (etske osten vhvkv nvkvfvstv). The Natchez are called a four-mother nation because the principal clan mothers are considered to be the "four mothers"of the people. Tribal affairs are managed by the "Ucunv Cunv Yvmvsee" (Principal Peace Chief), who is also the Cunv Uvsel (Great Sun) and the "Ucunv Cunv Tvstunvke" (Principal War Chief). Tvstvnuke means right or "right hand" in the Muscogee Language. The Principal War Chief is sometimes referred to as First Warrior or Second Chief. The two work in harmony and are selected by virtue of their traits and expertise for lifetime appointments, as are the clan mothers. Among the duties of the peace chief are maintaining internal affairs and calling together the "council of suns" or a "Great Council of the Suns". The Council of Suns is the ultimate decision making body of the tribe and include all that have received adult names (the suns); it includes leaders of associated tribes. The true Muscogee (Creek) Nation is an ancient and venerated confederacy of tribes and "tribal towns". It has, for eons, been made up of separate and sovereign towns, tribes and Indian nations. 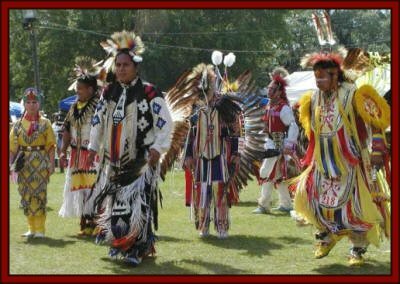 When non-Indians first encountered a number of these closely related tribes, they nick-named the peoples "Creek" because they lived in the close proximity of creeks and rivers. When different cultures come into contact, there is often conflict. The contact between the United States of America and the Muscogee Nation has been a continuing historic tragedy. The United States Government broke treaties, which were to serve and protect the sovereigns of the Muscogee Confederacy. Native Americans of the Muscogee Confederacy have been victimized by the broader society for over 500 years. A treaty was entered into by a single chief in which all the Muscogee states would "preserve their integrity" by ceding their land in the southeast and relocating to "Indian Territory". Said chief (McIntosh) was, by virtue of traditional Muscogee law, expediently executed for treason. The Principal Chiefs of that time envoyed to Washington, D.C. to correct the problem - to no avail. Though the treaty was not agreed upon by the grand council of chiefs and the principal chiefs, the tribes and states of the entire Muscogee (Creek) Nation eventually signed other treaties and were forcibly removed from their homelands to "Indian Territory" at the great cost of nearly ten thousand (10,000) lives. Through, and possibly as a reaction to adversities, strong traditional relationships have been maintained in the tribal groups and communities. Many of the communities, tribal towns and nations continue to maintain themselves culturally and/or governmentally and remain an integral part of the now federally recognized Muscogee Nation; e.g. Kialegee Etvlwv, Yuchi - of the Muscogee (Creek) Nation, Natchez Nation - of the Cherokee and Creek Nations; a sovereign by virtue of treaties of 1796, 1833 & 1866 - - - (Harjo vs. Andrus case, 74-189 - U.S. District Court, Washington, D.C. and/or Harjo v Kleppe), Hitchiti, Alabamu-Quassarte, Thlopthlocco and many others. Of the more than forty-four (44) of these communities, there remain at least 20 in existence today; at their own behest or by virtue of their trust relationship with the United States of America. In fact, a band of Muscogee citizens who escaped to Mexico during removal (1830's - 1860's) are still intact and maintain a land-base there. The cultures, traditions and languages of the people remain as a testimony to their resilience and determination. It has been brought to our attention that the the particular set of words in the list below is taken from "Ethnological Position of the Natchez Indians", by John R. Swanton 1908. Published in American Anthropologist, vol. 9, 1908. NOTE: Thank you, K.T. "Hutke" Fields, Ucenv Cunv Uvsel, Principal Peace Chief, Natchez Nation, for taking the time to give us the information to properly credit the word list below. The Natchez language is an older but close relative of the Muscogee (Creek) Language...and is rarely spoken except in a ceremonial context. Na'htchi ihiwe'ltagik I speak Natchez.